For carpets up to 3/4" thick including padding. All day support for everyday office use. 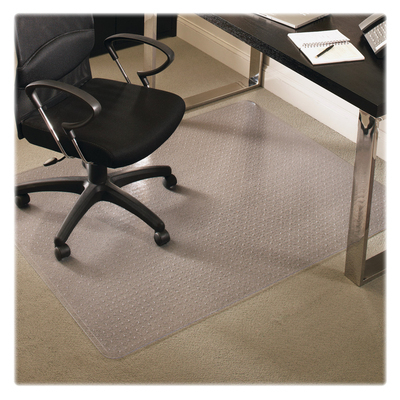 Features AnchorBar® chair mat cleats that hold firmly in place, yet are gentle on carpet and fingers. Protects against wear and tear from chair casters.